Mastalgia is a common breast symptom that may affect up to 70 % of women in their lifetime. It is most common in women aged 30–50 years. Breast pain may be bilateral, unilateral, or in part of one breast. 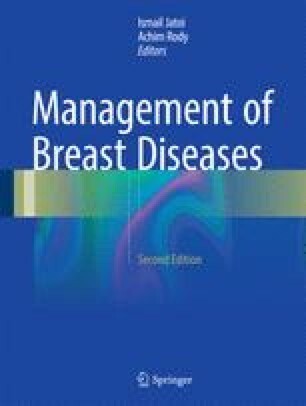 While most patients experience mastalgia of mild or moderate severity and accept this as a part of the normal changes that occur in relation to the menstrual cycle, a proportion (10–20 %) experience severe pain that causes distress, affects their daily lives, and leads them to seek treatment. The severity of pain associated with cyclical mastalgia can be substantial, similar in magnitude to chronic cancer pain and slightly less than that associated with rheumatoid arthritis. This chapter covers etiology, classification, clinical assessment, and treatment of mastalgia.